January 3 – Fairfax County Police Department Chief William L. Durrer retires after 28 years on the force, including 17 as Chief. 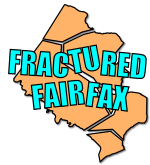 January 9 – 21-year-old Dennis R. Peck is unintentionally shot with a .38 caliber revolver by his 14-year-old accomplice while burglarizing the Foxcroft Apartments in the City of Fairfax. Unfamiliar with the area, Peck's four juvenile accomplices frantically search for a hospital, eventually stopping at a nearby McDonald's, from which he is taken to Fairfax Hospital, where he dies. January 13 – 25-year-old Karen D. Brown is shot to death by her 26-year-old estranged husband Donald as she arrives at her dental receptionist's job at 1712 Clubhouse Road in Reston. Donald Brown surrenders shortly afterwards at the Herndon Police station. January 13 – Fairfax County Police Department Chief Richard A. King announces the firing of 41-year-old Captain James L. Wilt, commander of the Annandale District Station, for "unlawful conduct" and "use of official position or authority for personal profit or advantage" regarding an incident with a woman. January 19 – 46-year-old Jesse T. Shriner is stabbed to death by 16-year-old Paul S. Sorensen during an early morning robbery at the 7-Eleven at 2915 Cedar Lane in the Merrifield region of Fairfax. January 26 – Following a party, 29-year-old Rebecca Barber is stabbed to death in her home at 5006 Pylers Mill Court in Fairfax by Private David J. Voetsch after she refuses Voetsch's sexual advances. February 17 – 36-year-old William M. Gingery is discovered dead of an apparently self-inflicted gunshot wound in his apartment in Skyline Towers at 5595 Seminary Road in Falls Church. Gingery, the director of the Civil Aeronautics Bureau's enforcement division, was scheduled to appear before a Senate subcommittee later in the week. February 19 – A tear-gas explosion in a stairwell at Lake Braddock Secondary School sends 65 students to the school's clinic and one to the Commonwealth Doctors Hospital. The school is evacuated for an hour to clear the gas, and a $50 reward is offered for the identity of the perpetrator. March 20 – The Fairfax County School Board votes to close the 48-year-old Annandale Elementary School at the end of the school year. March 24 – The Fairfax County Board of Supervisors votes unanimously to create a special tax district in Reston to finance the construction of a community center. April 6 – The corpse of 17-year-old Farnum L. Burton is found in a pond off of Gunston Road. Burton had been shot 6 times, wrapped in chains from the waist down, and rolled in a blanket before being dropped in the pond. Burton was not identified until almost a year later, when an aunt recognized a picture published in the Alexandria Gazette. April 19 – 20-year-old Richard D. Schofield is stabbed to death in the back yard of the home at 8701 Georgetown Pike in McLean. Schofield's corpse is discovered about 12 hours later by gardener Ellsworth Walker. May 7 – 20-year-old Bobby Poole pleads guilty to charges of murder, robbery and maiming for killing 34-year-old Donald S. Monsky and shooting 23-year-old David Pitt during a rip-off in Great Falls on November 16, 1974. May 25 – 16-year-old Carl Reeves and 22-year-old Butch S. Parr drown in Lake Barcroft when the canoe they and three others had liberated for an early morning boating excursion capsizes. June 10 – Residents of Reston vote to approve a $2.6 million bond issue to facilitate the construction of a new community center. July 11 – 33-year-old Tommie J. Finkelstein and his 30-year-old wife Edna are killed and their two-year-old daughter Elizabeth is mortally injured by a 17-year-old driver in a head-on collision on Old Keene Mill Road in Springfield. Elizabeth is taken to Fairfax Hospital, where she dies on July 13. August 10 – 20-year-old Dorothea Burton drowns in the swimming pool of the Belle Haven Apartments in Alexandria. August 10 – 30-year-old Maxwell G. Courtney drowns while swimming in Lake Anne in Reston. August 12 – 62-year-old retired Army colonel Leroy Thompson, Jr. shoots and kills 18-year-old Charles B. Finney, Jr. and mortally injures 21-year-old Leslie R. Summers when Thompson catches the two men burglarizing his house at 6450 Overlook Drive in the Pinecrest neighborhood of Alexandria. Summers is taken to the Alexandria Hospital, where he dies. August 26 – 13-year-old Anita Cunningham is sexually assaulted and strangled to death by William M. McGinty in the Rose Hill neighborhood of Alexandria. August 28 – 31-year-old Judy C. Mills is killed when she is thrown 45 feet from a motorcycle driven by 39-year-old Joseph C. Deaton and lands in front of a car driven by 20-year-old Gerald C. Randall at the intersection of Ox and Portsmouth Roads in Fairfax. Mills is taken to Fairfax Hospital, where she is pronounced dead. September 10 – A Fairfax Circuit Court jury convicts 24-year-old George A. Poole, Jr. of robbery and murder for the rip-off that resulted in the murder of Donald S. Monsky in Great Falls on November 16, 1974. Judge Percy Thornton sentences Poole to 25 years in prison. September 25 – 26-year-old Donald R. Brown pleads guilty to first-degree murder for fatally shooting his estranged wife Karen as she arrived for work as a receptionist in a Reston dentist's office on January 13. October 4 – Following a fistfight with 44-year-old Annandale resident Wilfred D. Derepentigny, who had upbraided him for driving around Derepentigny's neighborhood at 4:00 AM while repeatedly blowing his car horn, 22-year-old former tow truck driver and sore loser William S. Javage has the last word when he runs over Derepentigny with his car and fatally injures him. Derepentigny suffers a fractured skull, and dies of his injuries in the Fairfax Hospital on October 10. October 20 27-year-old Allen Sands, manager of the recently-opened Cross Roads Books pornographic bookstore in the Glen Forest Shopping Center in Falls Church, is arrested and charged with two felony counts of selling obscene literature after he sells copies of two movies, "Succulent Housewife" and "Don't Let the Bed Bugs Bite", to undercover agents of the Fairfax County Police Department. October 22 – 17-year-old David M. Blake mortally wounds himself at the house of a friend at 7533 Republic Court in Alexandria when he jokingly places a loaded 9 millimeter automatic pistol to his head and pulls the trigger. Blake is taken to the Alexandria Hospital, where he dies eight hours later. October 23 – 47-year-old Nancy A. Rockcastle unintentionally turns her own suicide into a familicide when she uses the family's Mercedes-Benz to asphyxiate herself in the garage of the family's rented home at 1433 Hardy Court in McLean. The running engine of the car fills not only the garage but the house with carbon monoxide, which kills her 49-year-old husband Charles and 6-year-old son Matthew and fatally injures her 13-year-old son Andrew. October 28 44-year-old teacher Charles E. Bennett fatally shoots himself in the chest with a 12 gauge shotgun in a wooded area near Paul Spring Road in Alexandria. November 29 – Refused a do-over while shooting craps at a birthday party at 5220 2nd Road in the Lincoln Park area of Fairfax, 27-year-old Leroy H. Baker shoots the crap out of 35-year-old Aaron F. Johnson and 26-year-old Henry F. Green with a .38 caliber revolver, killing both men. December 15 – Fairfax County Executive Robert W. Wilson resigns to become the chief administrative officer of Prince George's County, Maryland. December 17 – After chasing his 29-year-old estranged wife Katherine into the bedroom with a bread knife, 36-year-old Lawrence D. Golz is shot to death by Katherine in the family home at 3623 Camelot Drive in Annandale. ↑ Taylor, Ronald. "King Named Police Chief by Fairfax." The Washington Post (1974-Current file): C1. ProQuest Historical Newspapers: The Washington Post (1877-1995). Dec 03 1974. Web. 14 Mar. 2012. ↑ Rackley, Lurma. "Heist Ends in Tragedy. "Evening Star, 9 Jan. 1975, Two Star HOME FINAL, p. 39. NewsBank. Accessed 18 Jan. 2018. ↑ Taylor, Ronald. "Man, 21, Dies of Wound After Stolen Gun Discharges." The Washington Post (1974-Current file): 1. Jan 10 1975. ProQuest. Web. 18 Jan. 2018. ↑ "Virginia Woman Slain, Husband Held." The Washington Post (1974-Current file): 1. Jan 14 1975. ProQuest. Web. 3 Jan. 2018. ↑ "Fairfax Police Captain Fired"Evening Star, 14 Jan. 1975, Two Star HOME FINAL, p. 35. NewsBank. Accessed 17 Dec. 2017. ↑ Green, Mary Margaret "Police Firing Upheld"Evening Star, 9 Apr. 1975, Two Star HOME FINAL, p. 35. NewsBank. Accessed 17 Dec. 2017. ↑ "Manager found Slain in Market." The Washington Post (1974-Current file): 1. Jan 20 1975. ProQuest. Web. 24 July 2016 . ↑ Glod, Maria. "Man Gets 25 Years For '75 N.Va. Murder." Washington Post. The Washington Post, 14 Jan. 2003. Web. 24 July 2016. ↑ Brown, Doug. "Woman Killed, Husband Beaten, Soldier Charged." The Washington Post (1974-Current file): C1. ProQuest Historical Newspapers: The Washington Post (1877-1994). Jan 27 1975. Web. 30 Dec. 2011. ↑ Lyons, Douglas C. "CAB Official Shot Dead in Va. Home." The Washington Post (1974-Current file): 1. Feb 19 1975. ProQuest. Web. 28 Jan. 2018. ↑ Lyons, Douglas C. "Va. School Cleared by Tear Gas." The Washington Post (1974-Current file): 1. Feb 20 1975. ProQuest. Web. 15 June 2017. ↑ Grubisich, Thomas. "Annandale School to be just a Memory." The Washington Post (1974-Current file): 2. Mar 22 1975. ProQuest. Web. 7 May 2014. ↑ Grubisich, Thomas. "Special Reston Tax District Backed by Board." The Washington Post (1974-Current file): 1. Mar 25 1975. ProQuest Historical Newspapers: The Washington Post (1877-1996). Web. 13 Nov. 2012. ↑ Rosenfeld, Megan. "Body Found Year Ago Identified as Youth, 17." The Washington Post (1974-Current file): B3. ProQuest Historical Newspapers: The Washington Post (1877-1994). Feb 28 1976. Web. 24 Oct. 2011. ↑ "P.G. Man Found Slain In Wooded Fairfax Yard." Evening Star, 21 Apr. 1975, 3rd Two Star HOME FINAL, p. 30. NewsBank. Accessed 11 Jan. 2018. ↑ "Hyattsville Man Slain in Fairfax." The Washington Post (1974-Current file): 1. Apr 22 1975. ProQuest. Web. 11 Jan. 2018. ↑ Kiernan, Laura A., and Douglas C. Lyons. "Father Kills Va. Daughter and Himself." The Washington Post (1974-Current file), Apr 29 1975, p. 2. ProQuest. Web. 23 Sep. 2018. ↑ Shandler, Phillip, and Lurma Rackley. "Father Kills Daughter, Self." Evening Star, 29 Apr. 1975, 3rd Two Star HOME FINAL, p. 20. NewsBank. Accessed 23 Sep. 2018. ↑ Zon, Calvin. "A Grieving Family Finds No Answers" Evening Star, 1 May 1975, Two Star HOME FINAL, p. 27. NewsBank. Accessed 23 Sep. 2018. ↑ Lyons, Douglas C. "Slayer-Suicide Sought Treatment for Alcoholism." The Washington Post (1974-Current file), May 02 1975, p. 1. ProQuest. Web. 23 Sep. 2018. ↑ Lyons, Douglas C. "Drug Case Suspect Enters Guilty Plea." The Washington Post (1974-Current file): 1. May 08 1975. ProQuest.Web. 8 Sep. 2016. ↑ Lyons, Douglas C. "2 Die in Canoe Mishap as Drowning Toll Rises." The Washington Post (1974-Current file): 1. May 26 1975. ProQuest.Web. 15 July 2016. ↑ Grubisch, Thomas. "Opposition of 23 Taxpayers Jeopardizes Va. Bond Issue." The Washington Post (1974-Current file): 1. Sep 23 1975. ProQuest Historical Newspapers: The Washington Post (1877-1996). Web. 13 Nov. 2012. ↑ Camp, Patricia. "Burke Man, Wife Killed; Child Hurt." The Washington Post (1974-Current file): 1. Jul 12 1975. ProQuest. Web. 6 July 2017. ↑ Seaberry, Jane. "400 Attend Funeral Services for Family Killed in Crash." The Washington Post (1974-Current file): 1. Jul 17 1975. ProQuest. Web. 6 July 2017. ↑ "Visitor Drowns at Pool Party." The Washington Post (1974-Current file): 1. Aug 13 1975. ProQuest. Web. 18 Jan. 2017 . ↑ "Smithsonian Employee is Drowned." The Washington Post (1974-Current file): 1. Aug 12 1975. ProQuest. Web. 21 Aug. 2014. ↑ Grubisich, Thomas. "Ex-Colonel Kills 2 Intruders in Home." The Washington Post (1974-Current file): 2. Aug 13 1975. ProQuest. Web. 3 July 2014. ↑ Grubisich, Thomas. "Killing of 2 Night Intruders Called Justifiable by Horan." The Washington Post (1974-Current file): 2. Aug 21 1975. ProQuest. Web. 3 July 2014. ↑ Grubisch, Thomas. "Body found in Fairfax." The Washington Post (1974-Current file): 2. Aug 28 1975. ProQuest Historical Newspapers: The Washington Post (1877-1996). Web. 8 Feb. 2013. ↑ Seaberry, Jane. "Fairfax Youth Gets 20 Years in Murder of Girl." The Washington Post (1974-Current file): 2. Jul 29 1976. ProQuest Historical Newspapers: The Washington Post (1877-1996). Web. 8 Feb. 2013. ↑ "Cyclist is Killed After Fall." The Washington Post (1974-Current file): 1. Aug 29 1975. ProQuest. Web. 17 July 2017. ↑ Seaberry, Jane. "Man Given 25 Years in Great Falls Killing." The Washington Post (1974-Current file): 1. Sep 11 1975. ProQuest.Web. 8 Sep. 2016 . ↑ Kast, Sheilah. "Wife Killer Free on $10,000 Bond. "Evening Star, 28 Sep. 1975, Four Star SUNDAY, p. 24. NewsBank. Accessed 3 Jan. 2018. ↑ 35.0 35.1 "Injuries Fatal to Man Hit by Car After Fight." The Washington Post (1974-Current file): 16. Oct 12 1975. ProQuest. Web. 31 Dec. 2013. ↑ "Man Guilty in Va. Death." The Washington Post (1974-Current file): 1. Jan 21 1976. ProQuest. Web. 31 Dec. 2013. ↑ Axelrod, Susan. "A Spice Shop, Sure... But Not THAT Kind." Evening Star, 21 Oct. 1975, Two Star HOME FINAL, p. 26. NewsBank. Accessed 19 Feb. 2018. ↑ Grubisich, Thomas. "Fairfax Man Gets Obscenity Term." The Washington Post (1974-Current file): 1. Mar 04 1976. ProQuest. Web. 19 Feb. 2018. ↑ "Youth Slain at Russian Roulette." The Washington Post (1974-Current file): 1. Oct 24 1975. ProQuest. Web. 21 June 2016 . ↑ Seaberry, Jane and Bill McAllister. "Wife Slays Self, Son, Husband." The Washington Post (1974-Current file): 2. Oct 24 1975. ProQuest. Web. 18 Jan. 2014. ↑ "Fumes Fatal to Fourth in Family." The Washington Post (1974-Current file): 1. Nov 13 1975. ProQuest. Web. 22 Oct. 2016. ↑ "Teacher Shoots Himself." The Washington Post (1974-Current file): 1. Oct 30 1975. ProQuest. Web. 18 Jan. 2017. ↑ Yaeger, Deborah Sue. "Dice Game Ends in Slaying of Two." The Washington Post (1974-Current file): 30. Nov 30 1975. ProQuest. Web. 18 Jan. 2017. ↑ Knight, Athelia. "Fairfax Man Convicted in Slaying of 2." The Washington Post (1974-Current file): 1. Mar 17 1976. ProQuest. Web. 18 Jan. 2017. ↑ DeYoung, Karen, and Athelia Knight. "Top Aide Shifting Counties." The Washington Post (1974-Current file): 2. Dec 16 1975. ProQuest. Web. 26 Oct. 2012. ↑ "Man Slain in Quarrel with Wife." The Washington Post (1974-Current file): 1. Dec 19 1975. ProQuest. Web. 18 Jan. 2017.